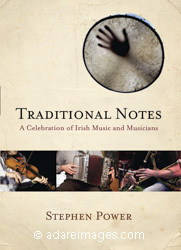 Traditional Notes: A Celebration of Irish Music and Musicians, by Stephen Power and published by The Liffey Press, in Dublin, is a stunning pictorial guide to contemporary traditional Irish music, focusing on Irish musicians, the instruments they play as well as traditional Irish instrument makers. The musicians and singers profiled include many of the leading lights in Irish traditional music: Martin Hayes, Dennis Cahill, Alec Finn, Noel Hill, Joe Burke, Frankie Gavin, Kevin Crawford, Iarla o Lionaird John Spillane, Paul Brady, Donal Lunny, John Carty and Micheal O Súilleabhain, amongst many others, and traditional Irish groups such as De Dannan and Lúnasa. 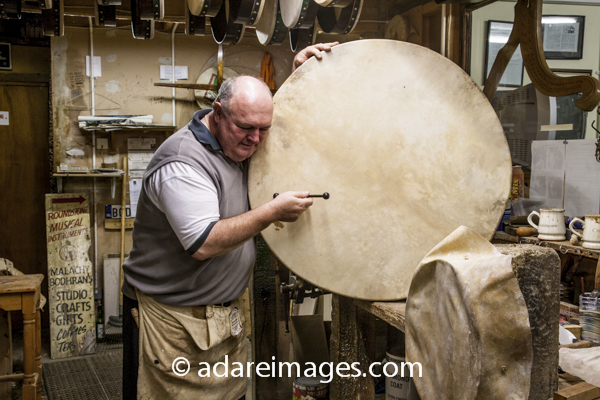 The striking photographs also capture the work of some current traditional musical instrument makers, including accordion maker Paddy Clancy, bodhran maker Malachy Kearns and uilleann pipes maker Michael Vignoles. In addition to the visually compelling photographic studies of the instruments, musicians and instrument makers, the book includes biographical and anecdotal notes on the musicians featured and background information on Irish music and the instruments themselves. An ideal gift book, Traditional Notes will also be of great interest to anyone interested in Irish traditional music as well as music and photography fans in general. PERSONALLY SIGNED COPIES OF TRADITIONAL NOTES AT VALENTIA CHAMBER MUSIC FESTIVAL, Co. Kerry Ireland Friday 18th - Sunday 19th August 2017 €15 special price. Stephen Power will be giving a talk about the photography in "Traditional Notes" at 3pm on Saturday 19th August at the RNLI station (upstairs), Knights Town, Valentia Island, Co. Kerry. He will also be present at various venues throughout the festival (he's the guy with the camera).